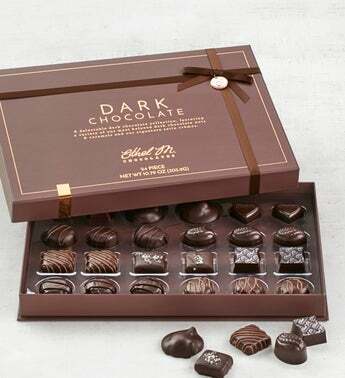 Ethel M's silky smooth, chewy caramel centers were lovingly made in small batches the artisan way. Each chewy caramel makes for the perfect combination of salty and sweet. These small batch chewy caramels start in their original copper kettles before being cut and drenched in Ethel M's signature milk and dark premium chocolate. Each piece is then finished by hand sprinkling a little sea-salt on top to enhance the flavors.